(Las Vegas, NV) Dr. Jeffrey Roth was installed as President at the 64th Clark County Medical Society Installation Ceremony and Awards Event. The event was held at the Hard Rock Hotel and Casino in Las Vegas, NV. After remarks from outgoing President Dr. Joey Adashek, Dr. Roth was sworn in to his new position by Nevada Supreme Court Justice Michael Cherry. In his remarks as incoming President, Dr. Roth emphasized his focus on, "honoring the past, working in the present and preserving and protecting the future." The event, usually a nighttime gala, was moved to an earlier time so as not to conflict with the Vegas Golden Knights Stanley Cup Finals playoff game. 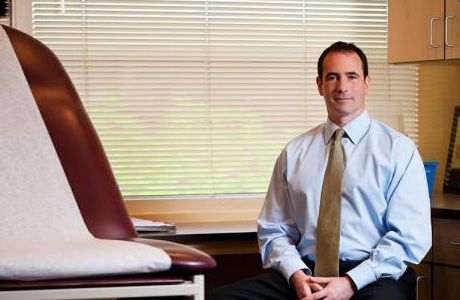 Dr. Jeffrey Roth is honored to serve in this role as Clark County Medical Society President while continuing to connect with patients in the local community. You can read more about the ceremony in the Las Vegas Business Press.